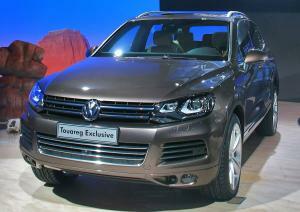 The Volkswagen Touareg has topped Glass's list of the fastest selling used cars in the UK last month. According to Glass's monthly 'Hot Five' list for January 2015, the German car topped the Vauxhall Mokka, Chevrolet Orlando, Skoda Yeti, and Toyota Prius, which made up the rest of the top five. The results, which are based on more than 50 price observations for 300 car models over a four-week period, found that the average price for one of the top five fastest selling cars was £15,791, a 6.5 per cent increase on last month. Glass's head of valuations Rupert Pontin commented: "The Volkswagen Touareg is often underrated but offers fantastic build quality, superb engines, great handling and subtle looks. This is the thinking man's Porsche Cayenne." He added: "Skoda is a brand to watch for 2015 as it begins to become a really desirable alternative to some of the more mainstream alternatives and the Yeti is very popular." At the other end of the scale, the five slowest selling used cars in the UK were, in this order: the Vauxhall Cascada, Kia Optima, Seat Toledo, Renault Scenic and Suzuki SX4 S Cross.